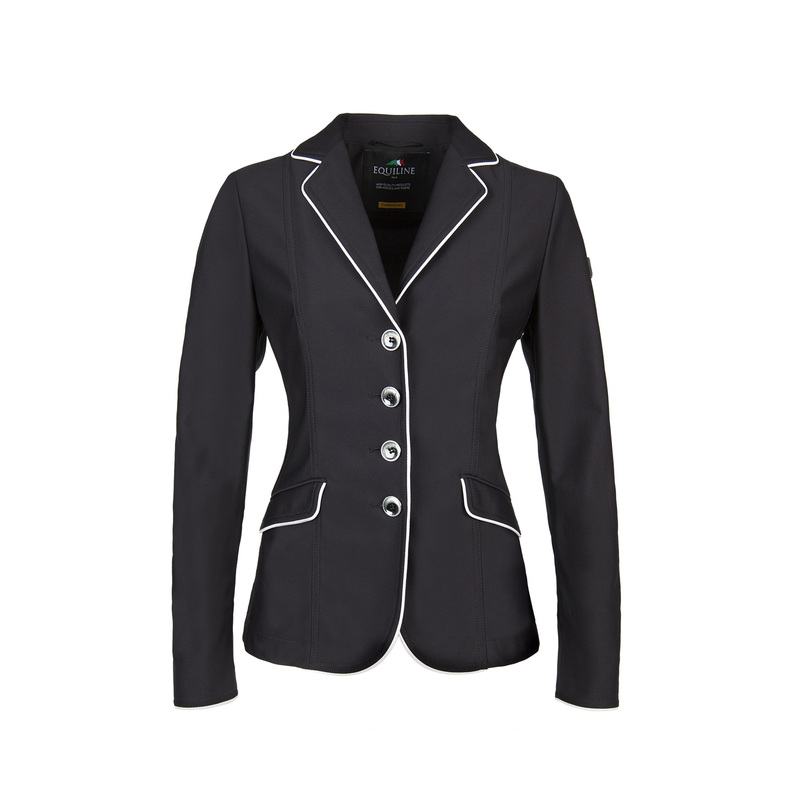 Ladies' show jacket Colette is made of innovative material that is perfect for summer - it is highly breathable and quick-dry. 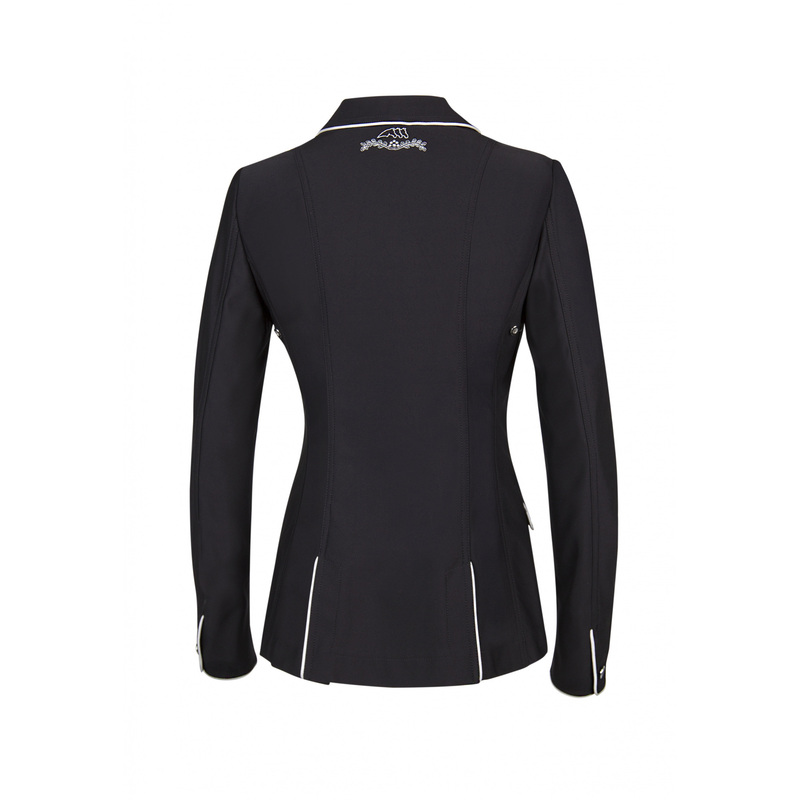 It is elegant, which is provided by beautiful, contrasting white trimmings that edge the whole jacket. 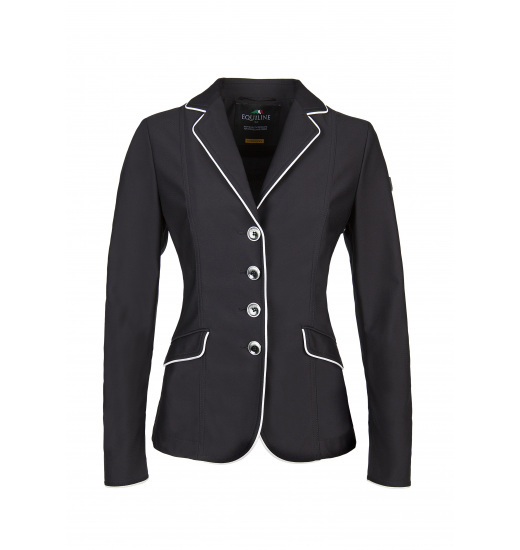 It is fastened with durable buttons. 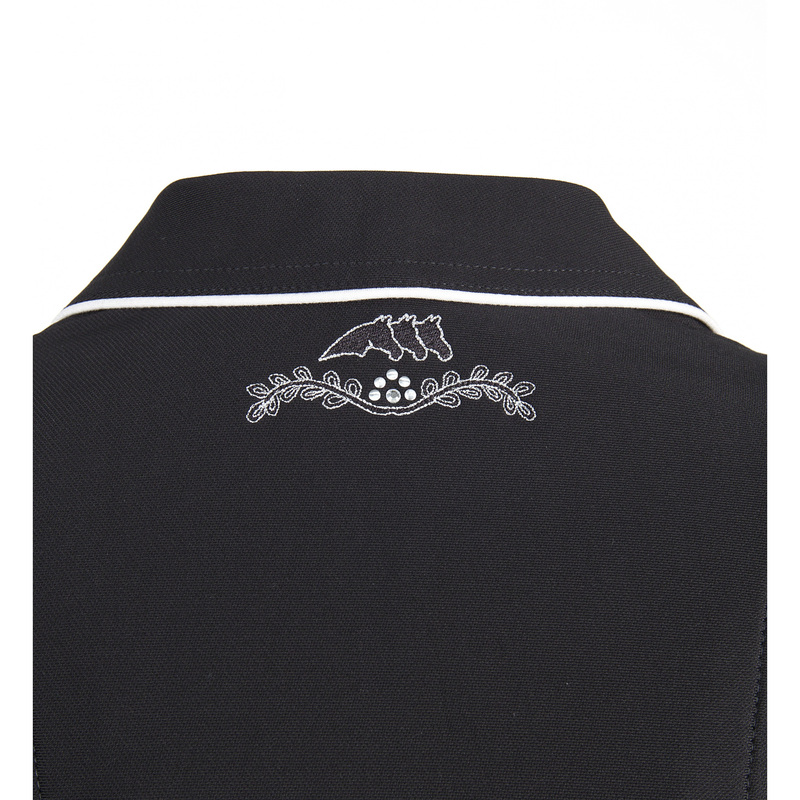 There is an Equiline logo embroidered on the back of the neck and it is also white.